I would like to thank everyone, who showed support for setting up this group in the article I posted a while ago. The year of 2019 marks the 80th anniversary of the establishment of Mikoyan and Gurevich Construction Bureau. While the OKB’s (Russian acronym for Construction Bureau) work during the World War II was pretty modest with only MiG-3 being a successful design, it was the advent of the jet age and the subsequent conflicts of the Cold War that made their designs a synonym for bad-guy aircraft in the West. 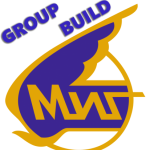 The aim of this groupbuild is to celebrate the eight decades of MiG OKB designs that formed the backbone of Soviet aviation units but at the same time helped develop Western, mainly American aviation technology in a mutual fashion. I will post a final reveal article with photos of all completed MiGs on that day. To help with decision on what to build, I will prepare a list of all the MiG designs as well as “What will you build” thread to keep track of all the builds. The idea is to build as many different designs from the given time span as well as many different markings, MiGs were flying in all over the world. Any scale, any level of aftermarket (or none for that matter), any actual markings (no what-ifs, sorry, plenty of schemes to choose from). Preferably, members should open new thread for each of their builds for easier tracking of the progress of the builds. And last but not least, I hope we’ll have lots of fun. If you hesitate or have any questions, just contact me and I’ll try to help to the best of my abilities. A bit of paint on some of the smaller bits !! Thanks Ferry, a bit of masking and the undercarriage bays and doors painted light blue, will be !! Great work with the paint Allan. Thanks Robert, add another to your MiG collection !! Nice progress, Alan. I still have pick a Mig to do. The darker blue on and the masking removed !! Masking on, more paint next !! The lighter blue on and a bit of sanding of the over spray, next masking and the rest of the darker blue !! Some of the darker blue on with some masking and the canopy frames painted again !! Some paint on the canopy frames and the vertical stabilizers on with a bit of filling in the joins !! Great to see you here too Allan, and a nice subject. Looking forward to your build. Just the one for now S, a combination of Hasegawa decals and Tamiya boxing of Italeri plastic !!! No one or two, but three… Time to catch them. 1/72 Hasegawa, Tamiya, Italeri, I started this in 2015 but put it aside to do other things, now back on the work bench ! !